Armament: 533 mm torpedoes and mines; six bow torpedo tubes and four stern torpedo tubes. 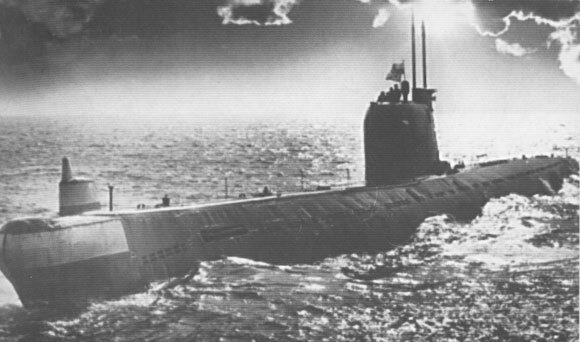 The B-413 served from 1969 to 1990 in the Soviet Northern Fleet. She visited Havana, Cuba and Conakry Guinea in 1969. In 1987, she was recognized by the Northern Fleet Commander in Chief as an Honor Ship for her exemplary mine-laying performance. From 1991 to 1999 the B-413 operated as a unit of the Baltic Fleet. Shortly after her decommissioning, she was transferred to the Museum of the World Ocean in July 2000. In August 2000 the Museum conducted a fundraising campaign for the families of crewmembers who perished in the submarine Kursk. 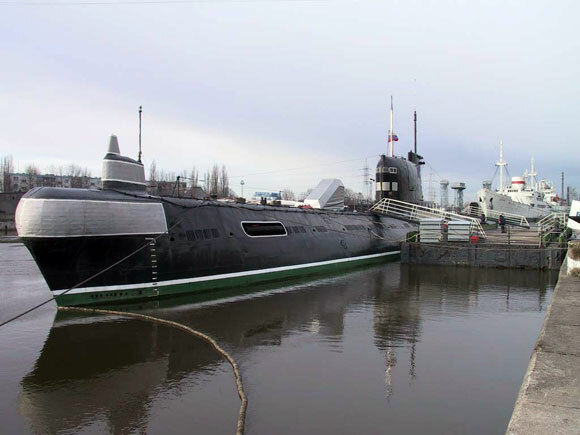 Aboard the B-413 is an exhibit entitled "The History of the Russian Undersea Fleet".